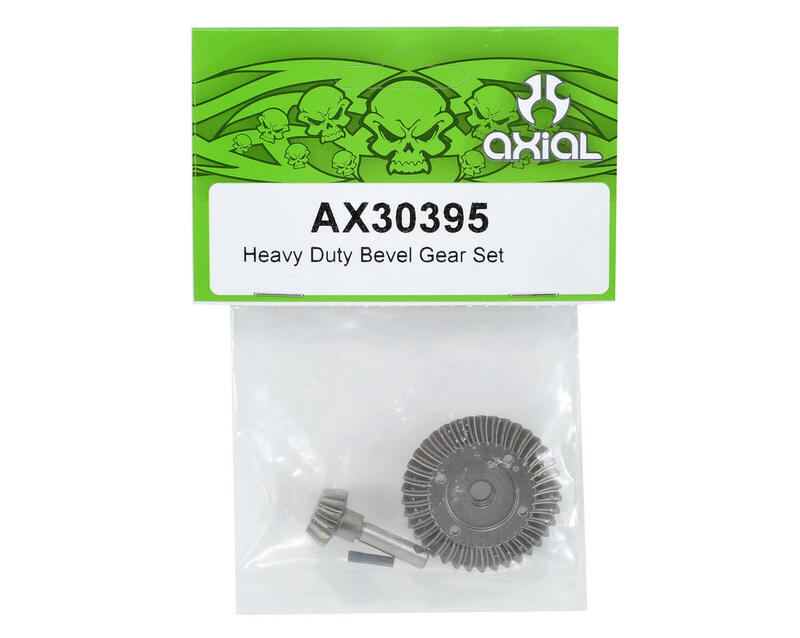 The Axial Heavy Duty Bevel Gear Set is made from high grade steel and hardened for increased strength. The gears feature spiral cut gear teeth for improved gear mesh to reduce slop in the drive train. Additionally, the heavy duty steel material weighs more than the stock gears to help add weight down low, keeping the center of gravity low and on the rocks where you want it. Use Axial Heavy Duty Bevel Gears in different combinations front and rear. Use 36/14 Front ~ 43/13 Rear -or- 38/13 Front ~ 43/13 - Rear to reduce torque twist in the rear and overdrive the front axle to help pull you through climbs easier. Use the same bevel gear set in the front and rear to raise or lower your gear ratio. 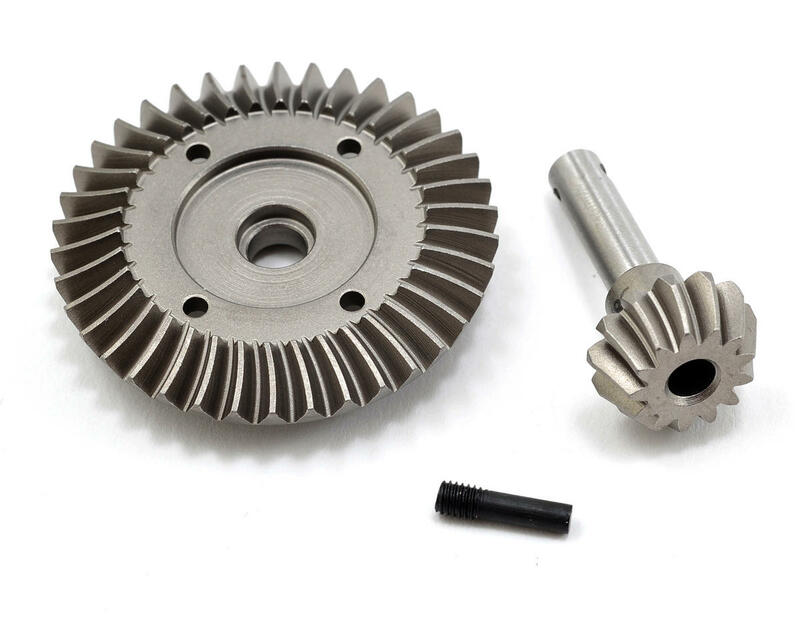 The heavy duty gear set offers improved gear mesh reducing slop in the drive train. Spiral cut gears offer increased gear tooth contact and run quieter. These gears last 10x as long, if not longer than the straight cut gears. Spend the extra money and be worry free. Super smooth and these handle the power no problem.